With her elegant interior décor and ample natural light, Mythos offers an ideal environment for relaxation. She received an extensive refit in 2016. Mythos comfortably accommodates ten guests in a Master cabin, a VIP cabin and two twin cabins, both of which have the option of a pullman berth, making her a great choice for charters with children. 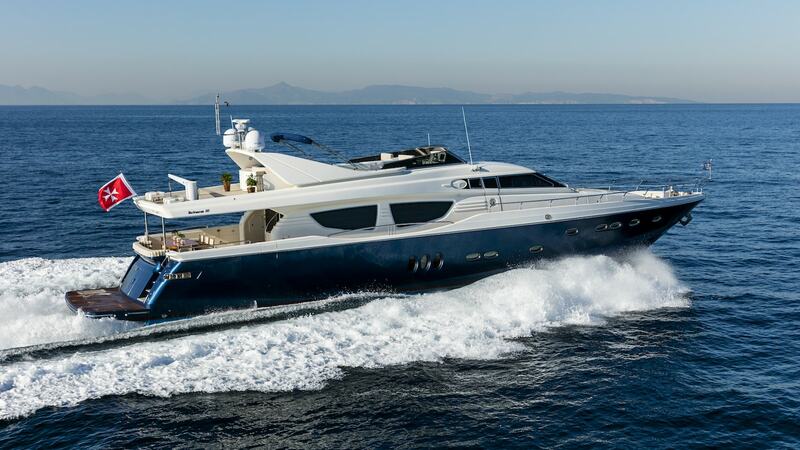 Her main deck features a sophisticated saloon area and a comfortable dining table.